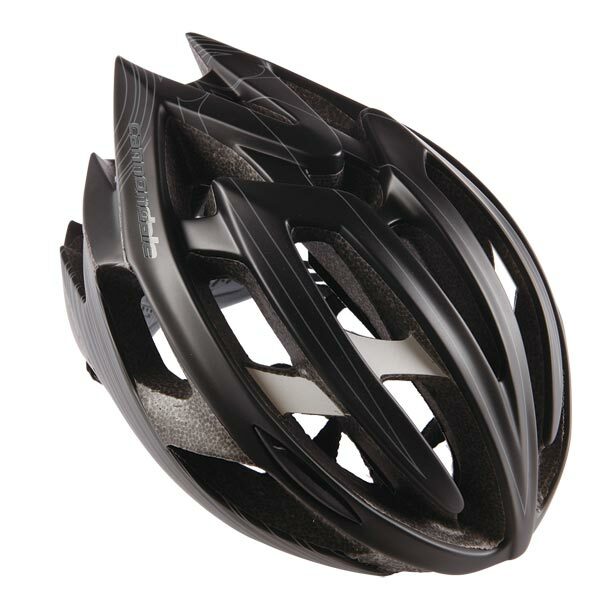 Departing from its usual tactics, Cannondale has not tried anything ground-breaking with its foray into helmets. The Teramo is the top-end road offering, and while it’s an attractive lid, plus lightweight at 245g and well-vented, it’s fairly generic. That said, the pricing is very keen – £69.99 for a road helmet with this many features is a real plus. The Teramo has reinforcements in the form of an internal roll-cage and an alloy exoskeleton to reinforce its key vent bridges, maximising protection for your noggin. Soft-touch straps and padding for comfort, with a fully adjustable, Micro-Dial customisable fit leaves very little lacking. Available in five colours.